You are here: Home / Shop / Special Items for Special Kittys / Check Out the Awesome Cat’s Trapeze – and Save $10! 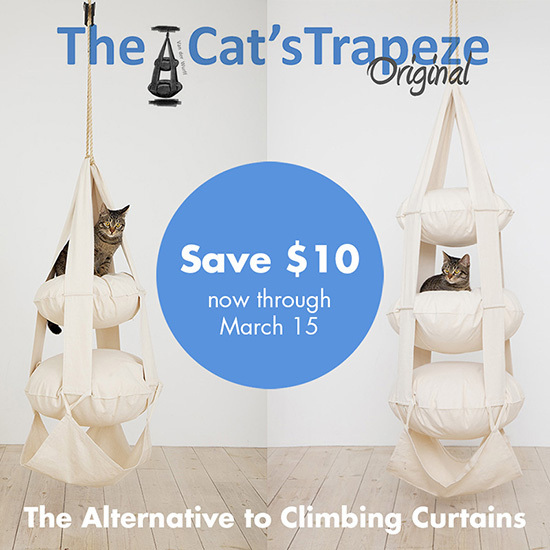 Check Out the Awesome Cat’s Trapeze – and Save $10! Wouldn’t it be fun to have a trapeze that you could have all to yourself, that even had places to hang out on — and unlike things like curtains, you could actually call your own? I think that must have been the inspiration behind the Cat’s Trapeze! The Cat’s Trapeze is made out of super-sturdy cotton fabric, and the napping spots can be filled with throw pillows, towels, crumpled newspaper inside a pillowcase (for that cool, crinkly sound! ), or you can buy inner pillows from the Cat’s Trapeze humans when you buy the Trapeze itself (the pillows are extra). It’s a cool, hanging jungle gym for kitties! The Cat’s Trapeze comes in two and three-pillow sizes. The 2-pillow Cat’s Trapeze is about 3-1/2 feet, not including the hammock, and the larger bottom cushion measures approximately 24″ in diameter and the upper cushion measures approximately 20″. 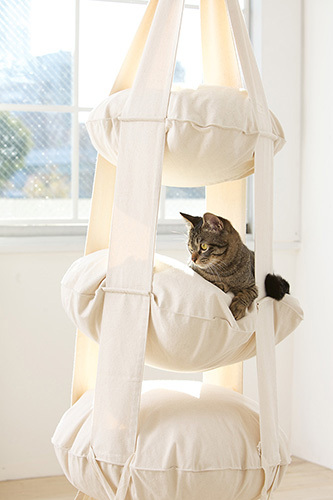 The 3-pillow Cat’s Trapeze is about 4-1/2 feet, not including the hammock, with the two bottom cushions each measuring around 24″ in diameter and the upper cushion measuring around 20″. They’re machine washable in warm (not hot) water, and should be air dried (to avoid too much shrinkage) and ironed as needed. My human first found out about the Cat’s Trapeze a few years ago, but they’ve been out of stock for a while. The great news is that they will be available again in mid-April — and even better, if you preorder, you will get $10 off with my discount code SAMBA10! 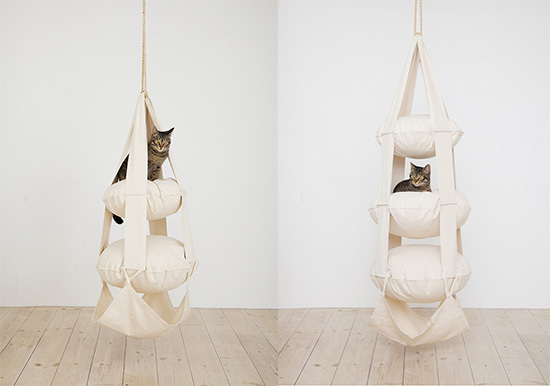 The Cat’s Trapeze can be shipped to U.S. and Canadian residents only. 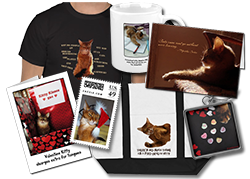 The $10 off coupon expires March 15, 2015 at 11:59 PM, so order now from catstrapeze.us to take advantage! Note: This is a sponsored post for the Cat’s Trapeze. I get a commission for every sale from my blog. We have the three pillow trapeze. Malou and Levon love it..the other two not so much. Be forewarned it is definitely something for “climbing” cats. 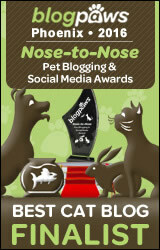 If you can place it near a window (which we have) it will generate the best possible interest and use! That’s cool! We would love it! We’d love one of these, and wish we could get all the other cool cat designer products in Australia too…. Its looking like a swinging lot of fun!! It’s gorgeous, and so very elegant. We wish we could get one. That looks like total fun! My mom says I would bite the stuffing out of it, though. She’s probably right. Very creative. I think this will finally get my cat off my curtains. Thanks for the help. I really really wanted one of those but we have to place for it. I remember when they first came out a few years ago and we never had a chance to try them. I wonder how mildew proof they are. It would be awesome to sling one of the the rafters of our covered porch for the summer! That looks like fun! The head peep says she doesn’t trust the ceiling in the sunroom to hang anything from it. Does that mean if we can have one, we can put it in the bedroom? Score! cool! our mom thinks that would be nice to hang from a closet rod, giving us a comfy spot to hang around in or hide out 🙂 Thanks for sharing the discount offer, Summer!